For more than 80 years, Sogea-Satom has made a contribution to the development of the African continent. As a genuinely long-term partner, VINCI Construction’s subsidiary in Africa operates, with all the passion and professionalism of its workforce, in more than 20 countries from Tangiers to the Cape, and from Dakar to Antananarivo, in the business sectors of roads and earthworks, civil engineering, hydraulic engineering and building. 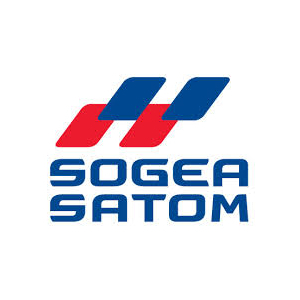 As a company with historical roots in the continent and a corporate culture with a clear emphasis on quality and team spirit, Sogea-Satom and its network of subsidiaries operating in around 20 countries are an integral part of Africa’s economic and social fabric. Stable and permanent operator, Sogea-Satom is positioned as a leader of international construction firms in Africa. It employs about 15 000 people on about a hundred works. For Sogea-Satom, people are at the heart of the issues it faces and its organizational structures. Its diverse mix of cultures and occupations has been a source of pride for the business from the outset, which is why it is committed to supporting its employees and developing their skills throughout their careers. The company recruits in Africa in many trades, and trains its employees to help them develop. It also recruits many executives to carry out management functions. The company’s many African employees have the possibility of rising to all levels of seniority, and the company offers them appropriate career development paths and the possibility of discovering new horizons through expatriate work.